I am interested in #10576458 at 2151 East 70th Street, Brooklyn, NY. Just Arrived is this Bergen Beach Beauty!! This home would be a perfect home for a Mother/Daughter family. Along with the formal living room and dining room there is a large renovated eat in kitchen with Formica counter tops and stainless steel appliances and 2 sets of pela architectural sliding glass doors that lead outside to an upper deck overlooking the backyard. Brand new refrigerator, dishwasher, and washing machine. 5 years young central air, water heated, and forced heating. Oak staircase leading to a large master bedroom along with two additional bedrooms upstairs with lots of closet space and a full bathroom. The basement is accessible from the interior home and also has a side entrance. It is a perfect hospitality suite with a kitchen, bedroom, and bath ready for your unexpected guests, with porcelain tiles throughout. There is a private driveway for three cars. Brand New roof and attic fan. Attic with large crawl space and storage. Alarm system and security cameras. Decked in pool. Concrete block front porch with rust free aluminum railings. This home is in walking distance to shopping, transportation, schools, and house of worship. Sure to please!! 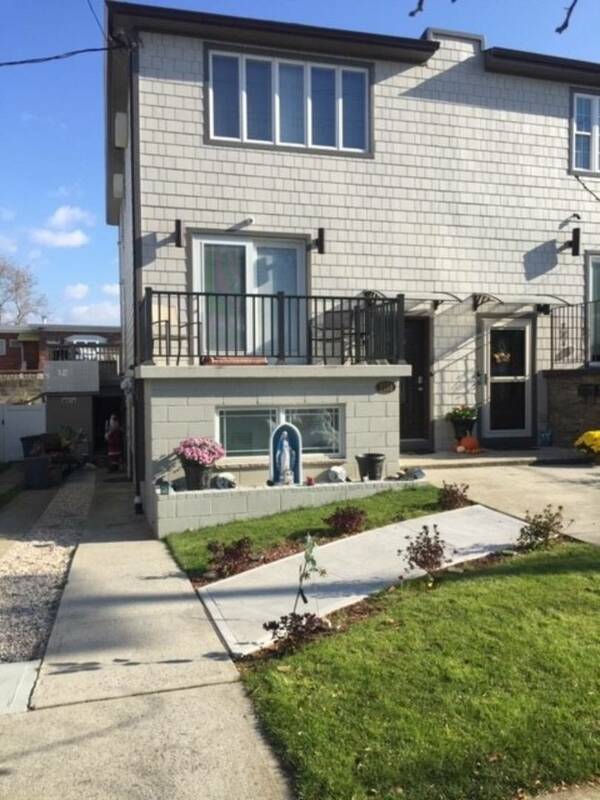 I would like more information regarding the NY State MLS Listing #10576458 at 2151 East 70th Street, Brooklyn, NY.